Although there was a four year gap between Warriors Orochi 2 and Warriors Orochi 3, fans of this series that takes characters from Dynasty Warriors and Samurai Warriors have been treated to a couple of iterations of Orochi 3 already. 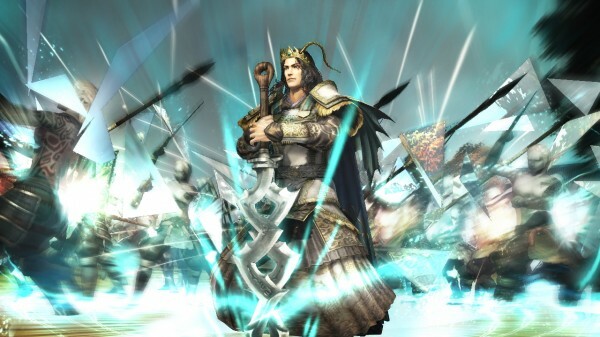 Now with the move to Xbox One and PlayStation 4, Koei Tecmo has once again released Warriors Orochi 3 in its new Ultimate form. With a number of new additions, does the title warrant a purchase for your Xbox One? Although the warriors of the lands may be at odds with one another, a new force has appeared. An army of demonic soldiers has overrun the land and at their head is a multi-headed beast called the Hydra that is capable of defeating entire armies on its own. Despite the best efforts from the armies of Japan and the Three Kingdoms, almost every general, officer, and commander has been slain in battle. In a last ditch effort to try and save the world from being taken over by the Hydra and the demon army, Ma Chao, Sima Zhao, and Hanbei Takenaka have gathered what resistance they could and have launched an all or nothing assault on the Hydra. Despite their best efforts, these three are about to be defeated until they are saved by a mystical woman named Kaguya. Kaguya saves these three and informs them that she has the power to travel through time and has been sent from the mystic world in an effort to put a stop to the Hydra. To do so they must begin traveling into the past and, using their knowledge of the future, alter the course of history by preventing the death of allies and freeing fellow fighters from the demon army’s mind control, even going so far as to alter the past numerous times to change save a seemingly doomed ally. 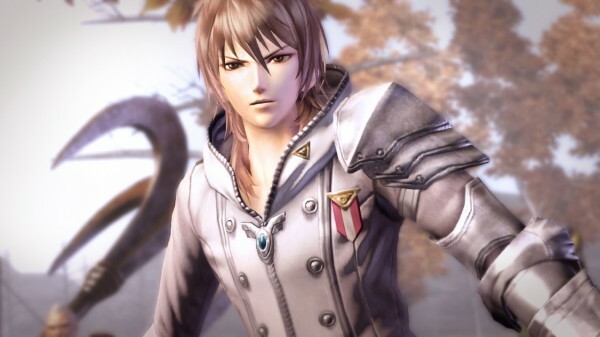 Warriors Orochi 3 Ultimate’s main storyline isn’t all that different from that of the original game, but considering the original game featured a lengthy story populated by numerous popular characters that isn’t too much of an issue. There are some added stages for new characters as well as entirely new chapters which expand the story past the point where the Hydra is killed as well as a prologue to add a bit of extra context for players, making this already packed storyline even bigger. The bulk of Warriors Orochi 3 Ultimate plays the same as anyone familiar with the series should expect, though a few changes from the standard formula have been made. Rather than simply entering combat as a solo unit, players will enter each stage as a team of three warriors of their choosing who can be swapped between in battle and even in the middle of a combo to provide fluid multi-character combos. 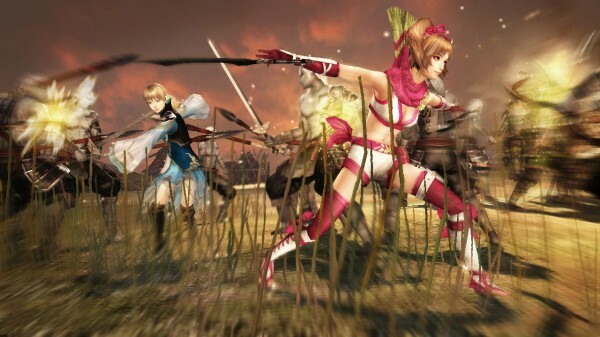 It is interesting to note that while the Musou attacks remain the same, that there is a unique separation between the Dynasty and Samurai Warriors fighters, with Samurai Warriors’ characters’ Musous triggering extended combo attacks and Dynasty Warriors’ fighters’ Musous unleashing flashy attacks that are capable of dealing large amounts of damage. With each character filling up their Musou gauge while fighting, players can vary their fighters to fit their playstyle best and also unleash these techniques when the situation calls for it. With over a hundred different characters capable of being used in battle, it is easy to fall prey to using only the first few fighters you unlock in the story, especially since the title offers the option to “Promote” fighters that reach level 100 back to level 1 with additional abilities. 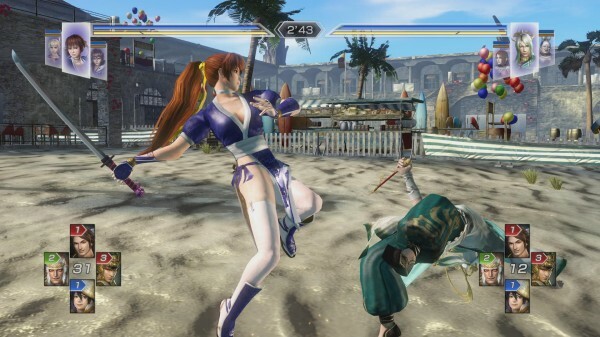 However thanks to an experience pool that is filled by completing various missions, players can level up and experiment with each fighter to see who fits their playstyle the best, since unlike the most recent Dynasty Warriors games, players cannot change a fighter’s weapon or fighting style. Despite that limitation, players will have plenty of variety to choose from thanks to the numerous characters as well as the newly added fighting techniques such as Aerial Special Attacks. It also helps that players can always customize their favorite fighters’ weapon with numerous skills to try and make up for any shortcomings they might have by fusing various weapons together. 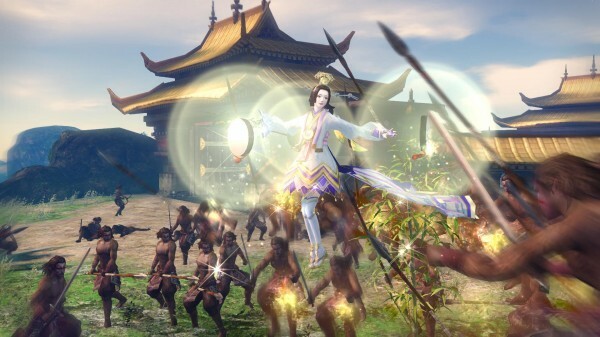 Outside of Warriors Orochi 3 Ultimate’s story mode a few modes have remained the same, such as free play, but a number of new ones have been added. This includes the brand new Gauntlet Mode which will truly put players to the test. You see, Gauntlet Mode allows players to enter a battle with five warriors at one time but as you enter each stage, the “Miasma” level will rise the longer you remain and the more enemies you defeat. While players can find rare ingredients and special items in the Gauntlet mode, they will also be put to the test against difficult opponents because the higher the Miasma level, the stronger the enemies. Things can reach a point where even a group of foot soldiers could be deadly to the team, forcing players to try and find the exit point as fast as possible. That being said, part of the difficulty here is the fact that since all of your fighters are moving around on the field at the same time, their AI is terrible, making them nothing more than human shields at times. Another new mode comes in the form of Duel Mode. Duels are stylized to be similar to a fighting game where players can bring three fighters to face off against three enemies that can either be other players or the computer. While fighting players can activate Cards that are unlocked by obtaining fighters or completing stages in Duel Mode’s survival option with these cards triggering various status effects and dealing damage. It is worth noting though that the entire combat system from the standard game remains the same in the duel mode so it is entirely possible to have an extremely overpowered set of characters enter the mode. Also included is the Musou Battlefield mode where players can customize an existing stage by swapping out various elements and then upload it online for others to try, or where they can download other players’ maps. Finally there are the new characters that have been added into Warriors Orochi 3 Ultimate, with not only original characters being added into the line-up but those from Soulcalibur and Atelier Arland as well. This new batch of fighters is a nice addition that helps give players more options than ever before and are great entries for fans of those series. While the jump from last generation to the current generation hasn’t given Warriors Orochi 3 Ultimate an amazing overhaul, the title does benefit in a few important ways. The character models on the fighters and the little in-game events are more detailed and feature better lighting, but the most important aspect is the fact that more enemies can now appear on the screen at any given time. This gives players the feel that they are actually in a sizable battle and reduces the pop-in rate that past games have suffered. 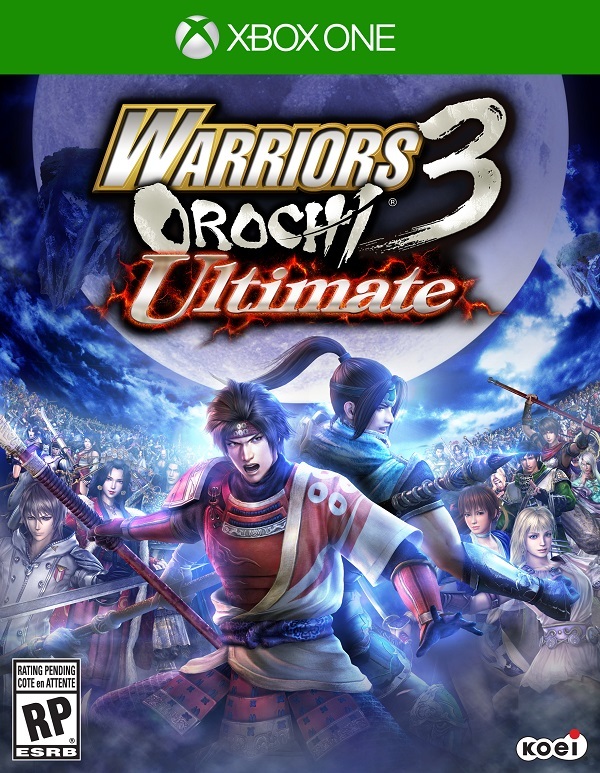 It is worth noting that like its original release, Warriors Orochi 3 Ultimate features only the Japanese voice track but that works in the title’s favor as it fits with the series’ aesthetic. The various pieces of background music take from both Dynasty and Samurai Warriors with little alterations here and there, giving players plenty of satisfying battle music to enjoy. While many elements of the original remain the same and ally AI can be remarkably dumb at times, Warriors Orochi 3 Ultimate adds enough new content into the already impressive amount of content available in the original to make it worth picking up. Not only do battles feel faster and larger thanks to the jump in generation, but the new set of fighters and additional story elements add plenty to the title, making it a great upgrade, even for those who have already picked up the original.